Mr Elton in all his Regency finery! As you can see I opted for black stockings in the end, it gave a more elegant look. A very comfortable attire indeed. (Not that one would slouch in this. One becomes very aware of one´s posture.) 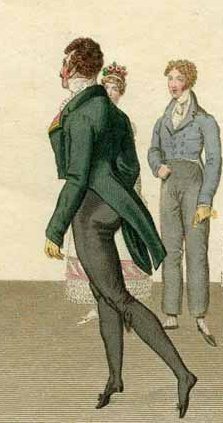 A 21 c man is not used to showing so much leg, and I realised that one´s lower part of the body is particularily exposed when dancing. The kidskin gloves were very tight at the beginning but soon they streched a bit and I even forgot that I was wearing them. 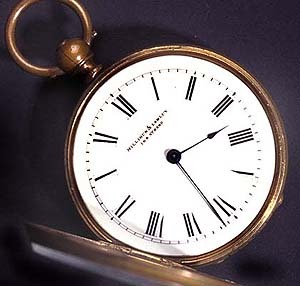 The watch fob: I wonder what Regency gentlemen did to prevent their watch fobs (the ribbon with the cross) from constantly sliding into the side opening of the fall front? Since they are supposed to hang directly along the edge of the said front. 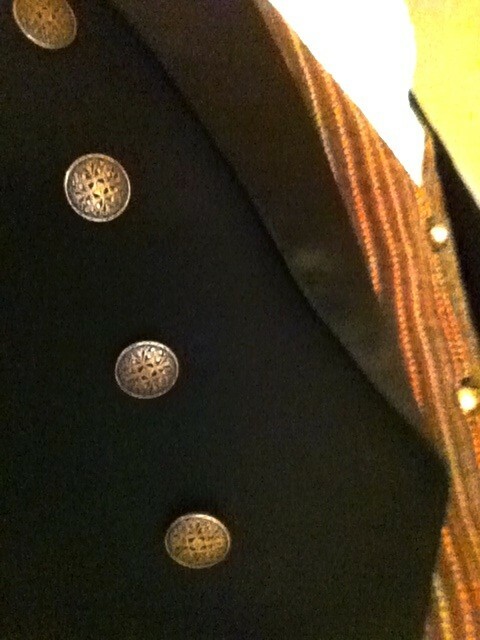 The waistcoat: perfect, save for one mistake: I put the buttons on the wrong side. I marked the buttons and buttonholes in front of a mirror, and obviously didn´t think. Typical mistake when there is stress involved. Found out when I was dressing and about to leave for the ball, and by then it was too late. I´ve promised myself to move the buttons and make new buttonholes some of these days. Hope to hide the original buttonholes under the overlapping. Hair: Mr Elton studies fashionplates so no wonder he made an effort to achieve the curly romantic hair of the Regency era. In the pockets of the tailcoat I carried the dance programme and a fresh handkerchief. “The whole situation is most alarming! There is nothing worse than a sore throat. Its effects are exceedingly bleak.” Mr Elton in Emma. 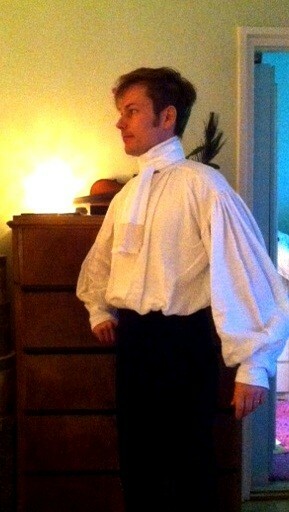 Pictures of full Regency ball outfit coming up tomorrow! Ah, everything about the ball in due course, but first things first. The waistcoat was completed on the night before the ball. 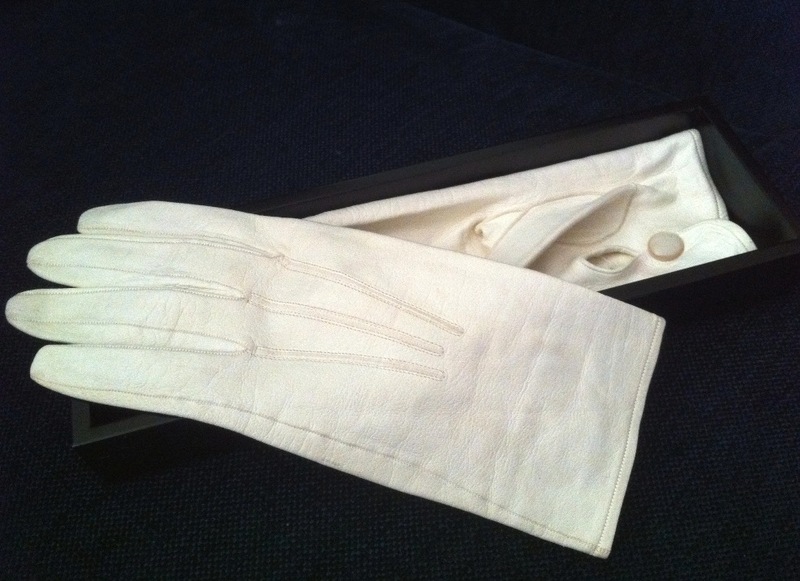 I wanted a simple but elegant waistcoat in white or cream coloured silk. I was lucky to find the perfect material in one of our “finer” department stores. A soft silk taffeta with a woven pattern of leaves and branches. For the back and the lining I used bleached linen. Again I didn´t use a pattern, but found useful and inspiring pictures of original and reproduction waistcoats online and in various books. I already knew what style I was going for – short waist, single row of buttons and a high collar to match the shirt and cravat. When cutting the pieces I used one of my modern waistcoats to achieve a good fit. 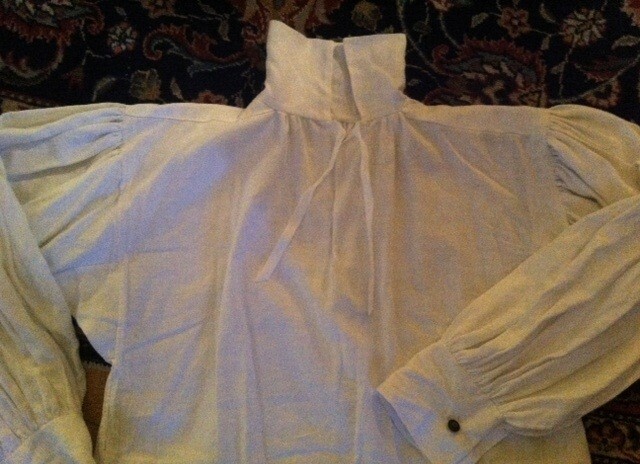 I cut 2 front pieces from the silk and 2 pieces of linen for the lining. Silk interfacing for the front. 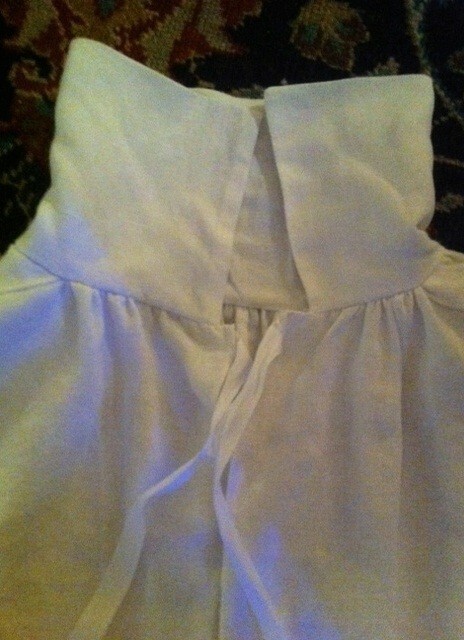 Collar in 2 layers of linen sandwiched between silk. Back 2 pieces + 2 identical pieces for the lining. Time was running, so I machine-stitched the shoulder seams and side seams on outer fabric and the lining, before sewing them together, right sides in, at the collar opening. Then turned the right side out, and handstitched the armscyes. Checked the fit and then folded in and handstiched the bottom edge. 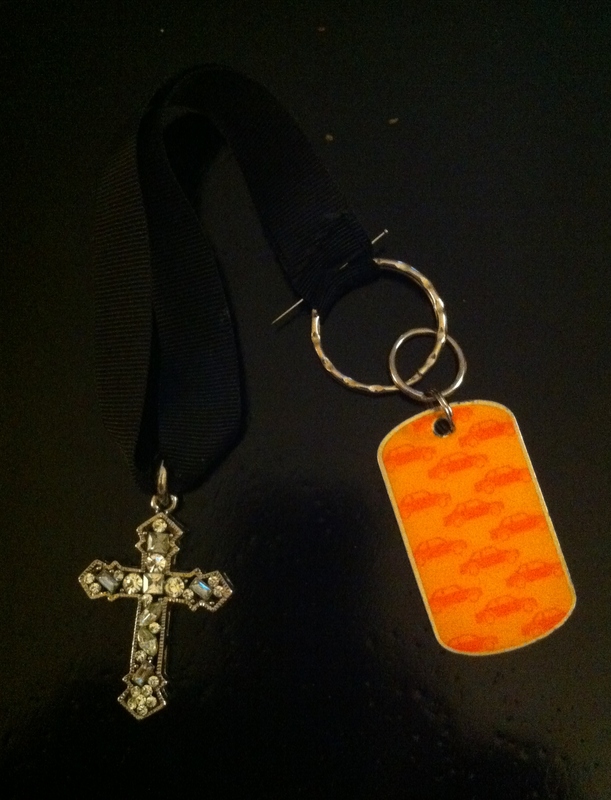 Sewed on the collar. I also took time to pick the edges with tiny stiches. 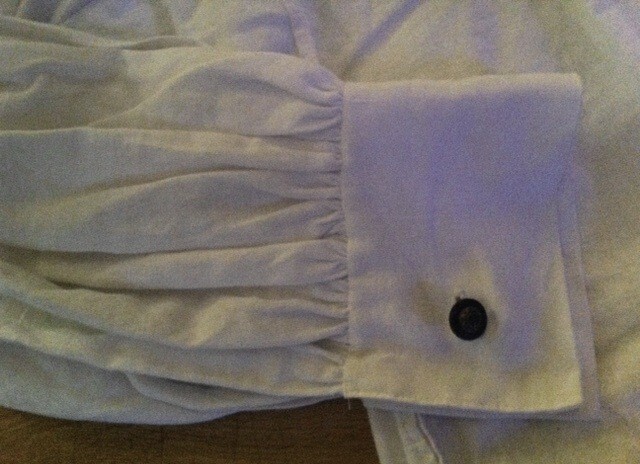 Later in the evening I made six buttonholes, covered the buttons and sewed them on. Mr Elton´s attire for the ball is done! You may notice a mistake. Take a close look or wait until l´ll reveal it in one of the upcoming posts. The ball is getting closer so there are two posts today. 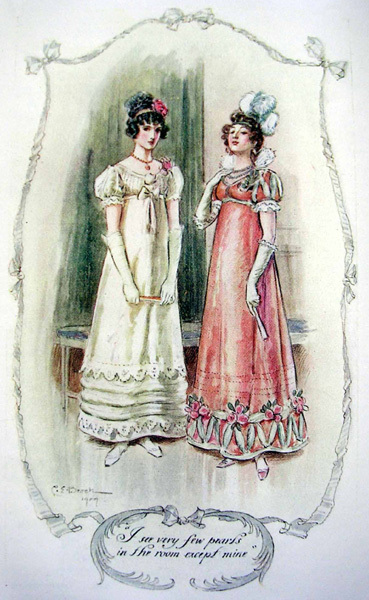 This is the frockcoat or tailcoat I´ll be wearing for the ball. 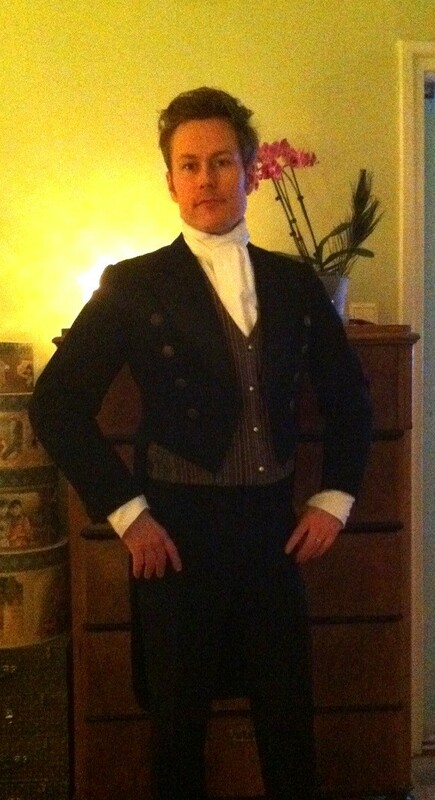 (Ignore the waistcoat, more on the one I´m about to sew in the next post.) I mentioned earlier that I already have a vintage tailcoat in my possession. 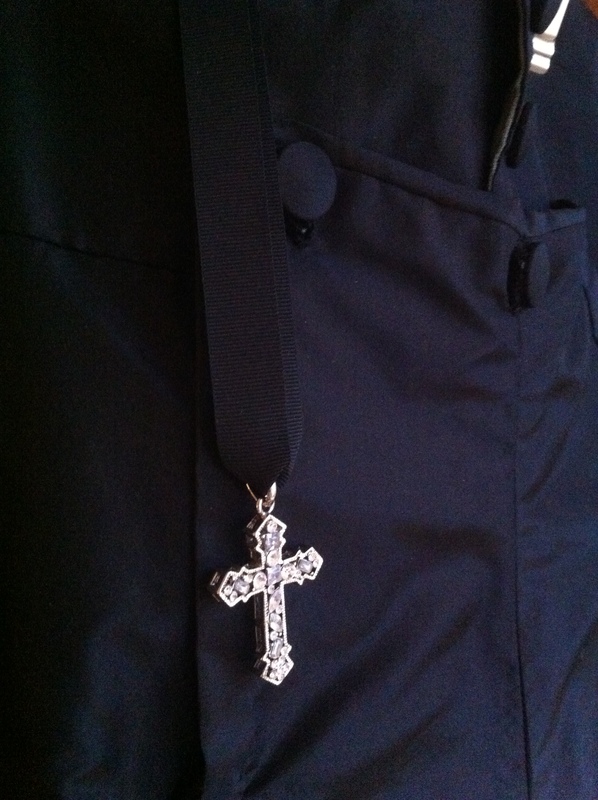 It is very well made, possibly 1930´s or 1940´s with a rich satin on the lapels. With some imagination, the cut makes it passable as very late Regency, somewhere around 1815 or so. Had it been a coat of lesser quality I might have taken liberties with it, but as it is now I only replaced the buttons (temporarily) to make it feel less like a modern tailcoat and a little bit more Regency. My inspiration came from this image below of you know who in the role of a certain gentleman. Metal buttons on a black coat for evening wear. (Where are his gloves?) If I remember correctly black coats usually had covered buttons. Metal (brass) buttons could be found on coats in navy, green, brown, etc. 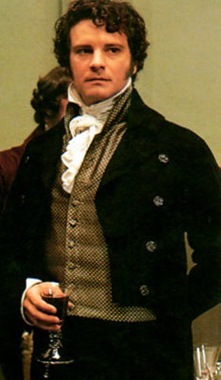 I would have preferred a wider collar and the shoulders could have been less boxy, more like above on Darcy. The lapels should be wool or perhaps velvet. Back to the buttons: One afternoon last week I searched for suitable buttons in some vintage shops and second hand stores, going through endless rows of colourful ladie´s jackets from the late 1900s. Many interesting buttons, but too navy or simply not right. Finally I found an acceptable button at the local fabric store. Bought eight of them. It took only three quarters of an hour to do the sewing while watching the ball scenes from the 2009 Emma. Promise to show better pics in my next post. Says my cara sposa, Mrs Elton in Emma, vol 3, chapter II.